Last week’s challenge, #inhand, was a non-editing challenge. That is, we just wanted to see photos taken on a particular theme and didn’t care what kind of effects you used. We saw some good stuff, but this week we want to get back to editing. We came up with a challenge that we think you’re really going to love. It’s about color. Actually, it’s about “one” color. We want you to use any Pixlr app to make an image one color + black. There are a few ways to accomplish this, but the easiest way to do it is to use Color Splash. As you may know, Color Splash lets you pick a color on your photo to highlight and then it turns everything else black and white. It’s a pretty lovely effect. 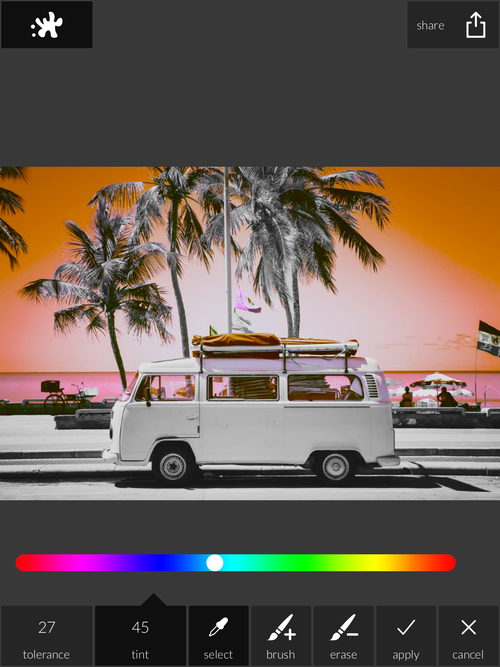 You can also use a brush to indicate the area of your photo where you want color to shine through, but there is one slider in that tool that a lot of people don’t notice or don’t use that is perfect for this challenge: Tint. You can use the Tint slider directly in Color Splash to make your photo show off one specific hue. It’s a very cool look that can sometimes resemble a one-color printed poster that you might see plastered on a wall in a city somewhere to advertise a rock show. One-color printing has always been a less expensive way to print a zillion prints in the physical world, and we love the look. Once you’ve made your image one color, you can always hop into Adjustments > Color and Saturate it even more. Same thing with Vibrance. If you push things too far, you might see some banding in your image. It depends on the type of image you’re using. Banding are concentric lines, and you most often will see these in a photo of a sky. The change of color across a gradient can sometimes become more visible when you push an image’s color in this way. Sometimes it looks cool, but other times you may want to dial back your effect a bit to avoid banding. Don’t forget that you have the option of using the brush when choosing where your color appears. You can isolate one object in this way that you can turn one color. Can be a really cool look if you want one thing to stand out. OH NO! My image is almost one color, but not quite completely!? Don’t sweat it. The point of this challenge is to give an image a change of hue. We’re not looking for perfection; we want to see creativity. So even if the hue you choose takes your image a little into another color’s direction, we want to see it. 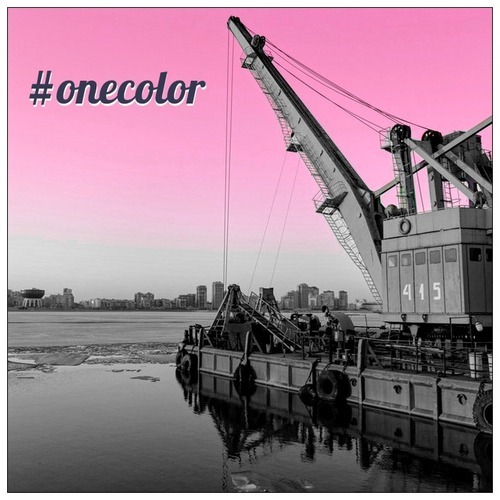 So, shows us some #onecolor images this week. 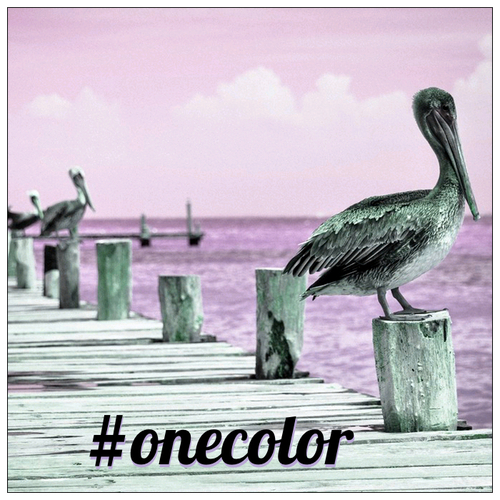 Use the hashtags #pixlr #onecolor to share what you edit for this challenge on Instagram, Twitter, Facebook, Tumblr, etc. We’ll be on the lookout across our social feeds for these hashtags all week long. The reward? Pure glory. We’ll be featuring our favorites on our feeds through Sunday.